When I found out that the first Indiblogger meet of 2015 was going to be held at Bangalore, I was ecstatic! When I submitted my post for the happy hours, I received a special invite to be a part of this meet. But since it was on a weekday and I was loaded with work, I was skeptical about attending the meet. But when I saw that almost all my blogger friends of Bangalore were attending, I decided to multitask and finish my work ahead of time and then attend the meet. And so I registered. The morning of the meet I received a mail from the Indiblogger team regarding the details of the meet and the hash tag for the evening #GoSleeekASUSexperience. I finished my work as soon as I could and left work early in years, just so that I could make it on time to the meet. Keirthana and Shailaja were constantly in touch with me through whatsapp so that we could co-ordinate at the venue. 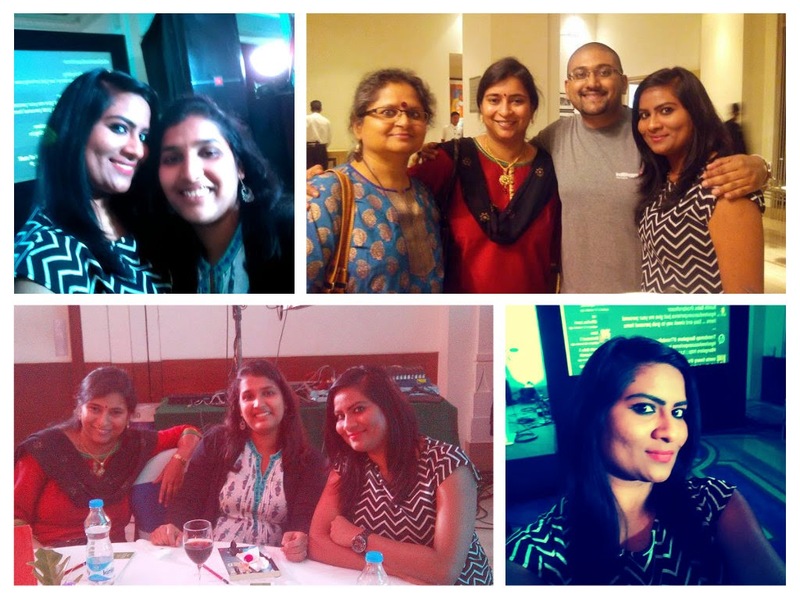 I was so thrilled and excited to meet them and all the other bloggers of Bangalore, whom I look up to. Thankfully Bangalore traffic co-operated and I made it on time to the Mysore Hall of ITC Gardenia where the event was held. First I met the awesome Keirthana who is always a regular on my blog. It is always nice to meet someone whom you have only known through the world of blogs. Of course a lot of them are on my Facebook friend list but meeting them is a wonderful feeling altogether. The first step on the agenda was to register at the venue. We had to show our ID proof and march right inside the hall. I saw Vineet from Indiblogger there and I was surprised that he remembered me from the Dove Play meet held at Mumbai. It felt awesome. Then Shailaja called and gave me directions to her table. It was so kind of her to look out for me, as I felt so taken care of right from the beginning. I could see a lot of familiar faces in the crowd. Familiar due to their facebook pictures or their tiny blog profile pictures. I saw Rachna and I developed cold feet. I am a huge fan of her writing and her cooking. I love the way her entire family is a part of her writing journey. Then there was Sreesha whose fiction I absolutely love. I had only known her as Petrichor (the name of her blog) until then and it was nice to put a face to her actual name. I did not know what to speak to her and I just kept on blabbering about how much I loved her work. Then I saw Vidya Sury, the woman I admire the most on the blogosphere. She is go gorgeous and sporty and is a huge inspiration to me. Her 'Mi' has kept me going in more ways than one. An extrovert like me was tongue tied on meeting her. I met Nabanita and Knitha too who are both super gorgeous women! I also met some bloggers whose blog I had not visited until now. Aparna was a delight to talk to and her looks intrigued me as she looked just like Kangana Ranaut! Asha was interesting to talk to and we bonded over the topics that we write on our blogs. It was such a privilege to meet such awesome bloggers. The band going at it! The first act was a Death Metal concert! Nihal held the crowd in his grip with his music as well as his interactions. He had us on his feet, pumping our fists in the air and headbanging, setting the perfect premise for a wonderful evening. After a tiring day at work, this sure came as a rejuvenation. Then the mike was taken over by Anoop, our zombie host for the evening. He probably was the best host that we could have asked for. His sense of humor, his command over the language and the way he kept the audience involved was remarkable. The second activity was a weird one. We were asked to interact with our fellow bloggers and convince them to give us a personal item of theirs. It could be anything. The person who has the highest number of items would receive a voucher. I only had my clutch with me and I kept digging through it to check what could I find to trade. I traded a safety pin for a pencil, a tissue for a hair clip and a wrist band for a toothpick. I had a few other bloggers give me a few items without giving anything in return. Bangalore bloggers are really kind! Yet I only had around 8 items and there were people with 18 and still counting. 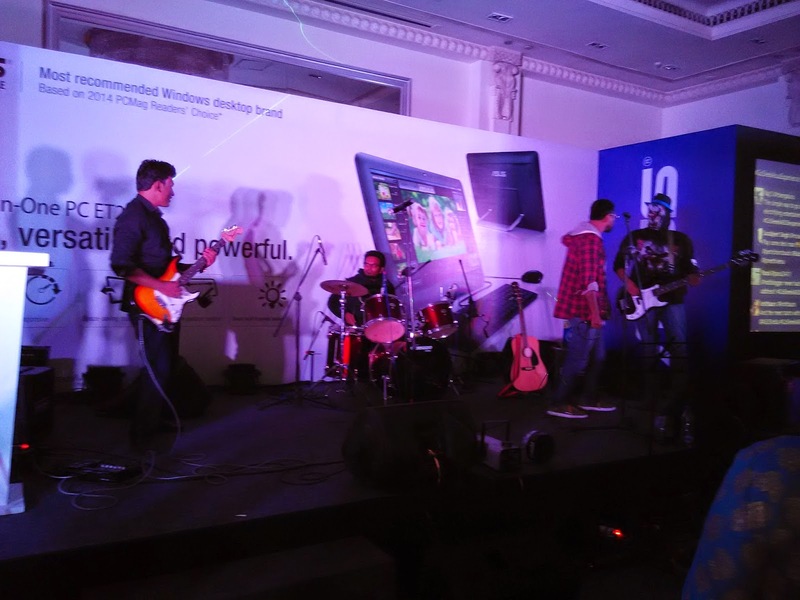 Next it was all about the star of the event and the sponsor, ASUS. 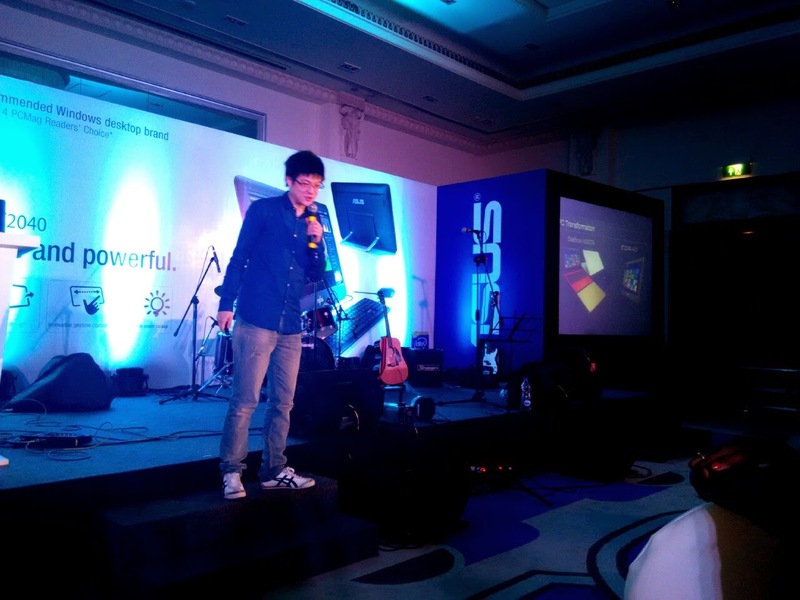 The product manager David Chu took center stage and spoke about the two star products that they had to offer. The ASUS EEEBook X205TA and the ASUS All in one PC ET 2040. There were counters displaying both these products and it sure was fun trying them out. The appetizers had started arriving by then and it was really delicious! A great event and some great food, this particular Friday had just got better. The final activity was to form teams and create an ad stating the importance of blogging. There were three teams and each team was given a theme. Our was 'The Pirates Of Caribbean' and we managed to put up a decent act! It was already past 9 pm by then and almost everyone was in a hurry to leave. Once the final act came to an end every blogger sprinted from their seats to the dining hall and started pouncing on the food, me included. I must admit, the food at ITC Gardenia Bangalore is excellent. The first meet of the year and it set the bar high for all the other meets and I am so so so proud for having been a part of it! Thank you to the wonderful team of Indiblogger and ASUS India for organizing such a wonderful meet and making us bloggers feel immensely proud of what we do. wow.! It looks like you really enjoyed the event. I sure did! Thanks for reading Noman. Wow, you had a great time. And I totally missed meeting you people which I was so looking forward to and the blogger meet as well. Awww Soumya. Thank you for your warm words. It was lovely to meet you too after interacting on our blogs. Here's to many more such meets. This makes me so jealous!! It was great meeting you, girl! To next time, cheers! After reading your post I realised how dull-pale was Mumbai event. Enthusiasm levels were lowest. ASUS, who couldn't engage the bloggers well.